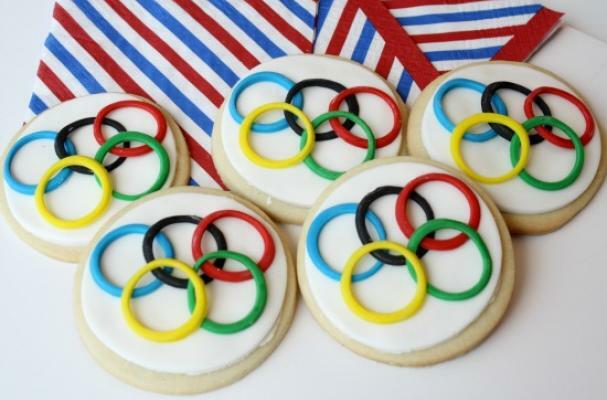 Learn to make these Olympic celebration cookies from Papery and Cakery. Round sugar cookies are covered in a vanilla buttercream frosting before being decorated with the five colorful Olympic rings. The rings are cut from colored fondant as opposed to being painted on with food coloring. You can purchase fondant from any store that carries cake decorating supplies or online. For full recipe instruction for these Olympic celebration cookies, click here.